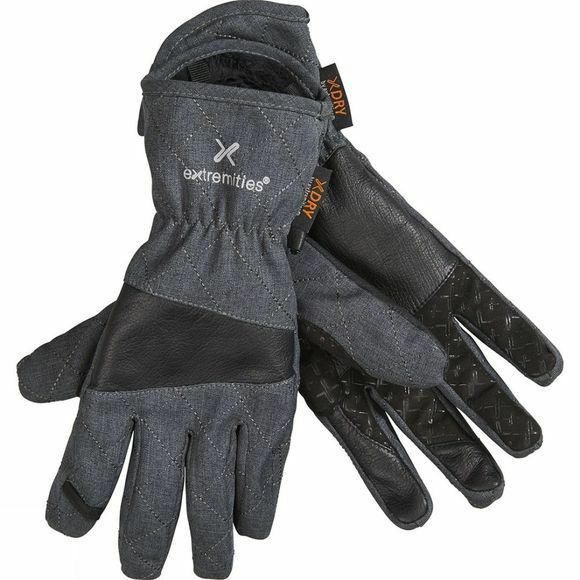 The Mens Altitude Glove from Extremities is a warm and waterproof glove that is far from bulky, and can be easily stashed away in a pocket. extremities X Dry technology ensures a waterproof, breathable and windproof glove that is versatile, stylish and suitable for everyday use. With the added feature of a luxurious hi-loft fleece lining and an extended cuff this glove is as cosy as can be.